With your input we will design educational experiences that meet your objectives as parents and spark your child’s natural curiosity. 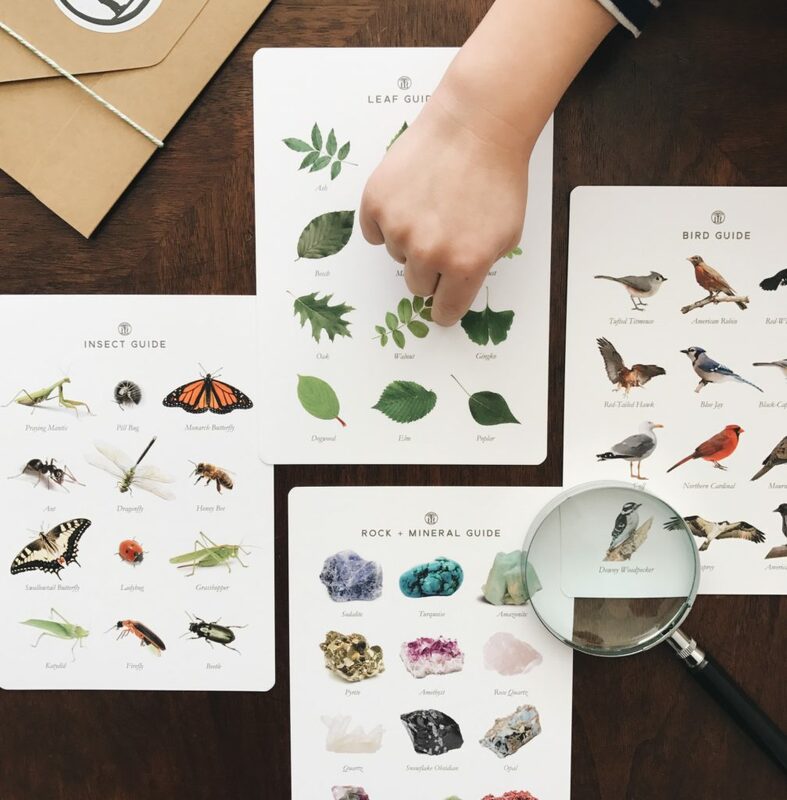 The Playful Learning curriculum provides inspiring lessons that develop a strong foundation of understanding within our students—not only of the subject at hand, but also learning how to learn. These learning experiences become the building blocks that will serve your children throughout their educational careers and lives. Looking to support or enrich your child’s education? 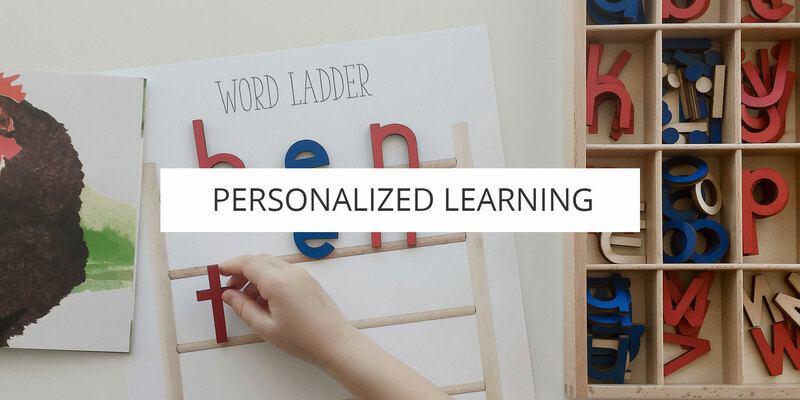 Let us know your goals and your child’s interests and we will create a personalized learning plan that’s a perfect fit. Whether your children need extra support or an extra challenge, we will assess their needs and provide an engaging program that sparks their natural curiosity and love for learning. Our teachers and programs create a safe and inspiring environment, so that struggling learners and high achieving students alike, feel comfortable asking questions, taking risks, and rediscover the joy of learning. Choose from the selections below or ask us to create a customized learning plan for your child. The transition from preschool to kindergarten is a rite of passage for children and parents alike. Preparing your child for the experience in a safe and nurturing environment will enable the whole family to feel ready, confident, and excited about this new journey. Through read-alouds, role-play, games, and collaborative projects, children will learn essential social skills and head off to kindergarten as confident and passionate learners. Being in the presence of young children learning early reading, writing, and math concepts is a magical experience. While the building blocks and essential skills are the same, the process is unique for every child. We will playfully assess your child’s level of development and provide fun, hands-on learning experiences. Our time together will strengthen your child’s confidence and cognitive skills as his/her schooling becomes more focused on academics—nurturing a lifelong love of learning. Starting at a very young age, children begin to build their own theories about the way the world works. These theories are constructed through their hands-on experiences and are constantly evolving based on new discoveries. We work with young scientists, technologists, and mathematicians to build on their natural curiosity. Through hands-on explorations, children learn to ask good questions and are given the tools to pursue the answers they are looking for. Whether your child is just learning their letter-sounds or is enmeshed in chapter books and novels, we will put together an engaging reading program that will keep them intrigued, deepen their experience, and sharpen their skills. We have developed an engaging phonics and reading comprehension curriculum that instills a love of reading, builds confidence, and deepens each child’s connection to the books they read. Students will experience the complete writing process, from brainstorming and creating an outline to writing drafts, editing, and publishing a final piece of writing. We cover spelling, grammar, word choice, adding details, and paragraph and essay composition. Students and parents can choose from multiple genres including, persuasive, personal narrative, writing about literature, informational, and poetry. We love to incorporate different disciplines into our writing instruction. Let us know if your child has a particular passion and we can mix in art, science, and more! Our social and emotional learning experiences offer children the opportunity to explore such concepts as the power of words, effective listening, dealing with misunderstandings, disagreeing respectfully, working towards win-win solutions, resolving conflicts, and more. Parents will receive an overview of concepts taught as well as tips for continuing the conversations at home. Through role-play, collaborative projects, and hands-on activities, we will explore key concepts needed to develop lifelong habits of heart and mind. Does your child have an interested they would like to pursue further? Would you like to see your child going further in-depth into a particular topic? Tell us all about your child’s interests and your goals and we will put together an inspiring project-based curriculum that enables your child to pursue their passions and learn important skills along the way. Passion projects can encompass multiple disciplines including science, art, social studies, math, reading, writing, well-being, technology, and geography. Put together a small group and we will create inspiring learning experiences for your children and their friends to enjoy together. We’ll design and facilitate groups that explore anything from book clubs, to writing groups, to science labs. Learning is an exciting endeavor… what better way to experience it than by engaging in hands-on projects with a group of close friends? Choose from the selections below or ask us to create a customized learning plan for your small group. Our Early Childhood series provides parents and their toddlers (ages 18 to 36 months) with the opportunity to explore a variety of learning experiences together in our thoughtfully prepared learning environment. Together you will share in a number of activities, read-alouds, games, and materials that relate to a new subject each week. Parents will leave each session with a deeper understanding of the topic at hand, lots of helpful resources and tips, and suggestions for follow-up activities. Our Parent/Child groups offer a highly personalized experience that will inform your parenting for years to come! This program can be designed for parents to participate or as a drop-off class. Would you like to keep your child actively engaged in reading for pleasure outside of school? We will design a curriculum based on your child’s summer reading and/or favorite books. We will engage in meaningful book talks, deepen reading comprehension, develop a rich vocabulary, and share in related hands-on projects. Having a writing life outside of school is so important in helping children find their voices. We will design a curriculum based on the writing genre of your choice and your child’s interests. Students will experience the complete writing process, from brainstorming and creating an outline to writing drafts, editing, and publishing a final piece of writing. We love to incorporate different disciplines into our writing instruction. Let us know if your child has a particular passion and we can mix in art, science, and more! Do your children love to bird watch? Do they beg you to do science experiments? Or maybe they are simply full of questions about the natural world? For your aspiring young scientists a personalized science lab may be just what they are yearning for. Keep your children’s curiosity alive and allow us to design lessons that teach them exactly what they want to learn. Do they love dolphins, insects, or rainbows? You name it and we will build a personalized curriculum for an engaging Science Lab that will be enjoyed and remembered by all.